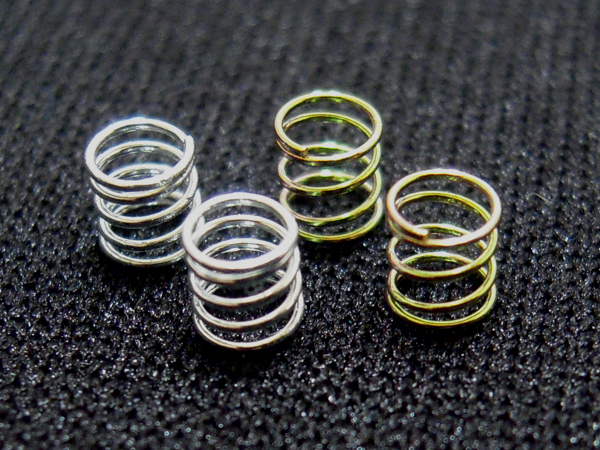 These springs are 90g and 110g springs to complement the silver (130g and gold 150g) springs that come in the low profile front suspension kit. The 90g work great on bumpy tracks and the 110g are awesome for those that feel the silver is too stiff. Very good for bumpy tracks. Also for lower grip situations. They are extremely consistent from batch to batch.